I found this awesome site and thought you might like it too. The link is athttp://baxtermill.com/product/extra-large-wooden-letters/. 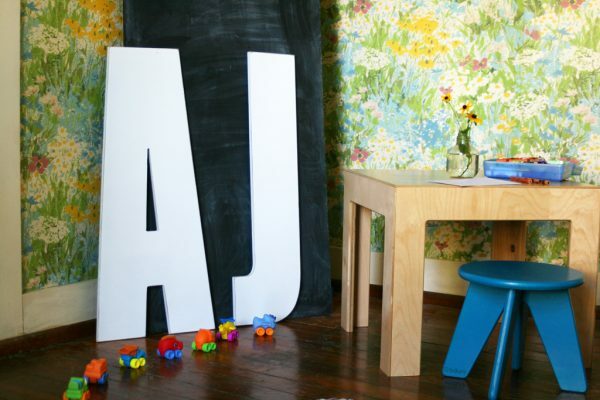 These large letters to hang on the wall will make an extra large statement in any room, especially your modern child’s room. 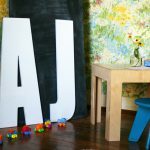 Your child will love to grow up seeing their name on the wall, and with the extra large letters, it will be a focal point of your nursery wall decor. So, go large and make wall letters express your creative side. 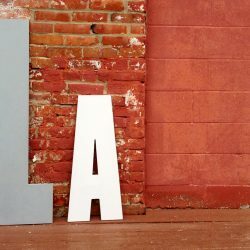 Each letter is custom made in Louisville, KY and has precise holes on the back for easy hanging, or they are strong enough to stand on their own against a wall. All Low-VOC paints were used.